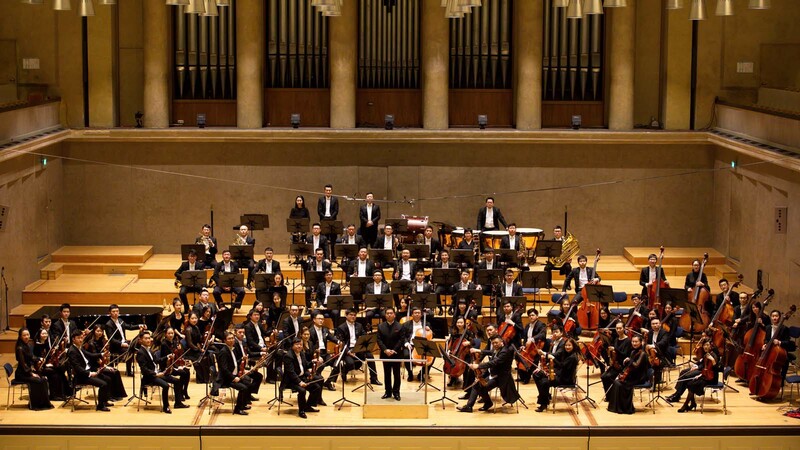 Founded on April 20th 2009, Hangzhou Philharmonic Orchestra (HPO) has established itself as one of most promising and exciting symphony orchestras in China. “Established only seven years ago in a city 180 miles from Shanghai, the HPO is by now one of the major orchestras in China”, reported Musical America in 2016. The orchestra has ventured to perform across all disciplines of arts in concert, opera, ballet, chamber music, film music and recording to critical acclaim. The orchestra has engaged Yang Yang as Music Director and Chief Conductor. In April, 2015, Maestro Long Yu, the Artistic Director of China Philharmonic Orchestra, was appointed as director of the HPO Artistic Committee. An impressive array of renowned musicians in China and around the world has performed with HPO in the past years, including conductors Vladimir Fedoseyev, Paavo Järvi, Klaus Peter Flor, Jesus Lopez-Cobos, Zubin Mehta, Krzysztof Penderecki, Gennady Rozhdestvensky, Chen Xieyang, Li Xincao, Tan Dun, Yu Feng, Yu Long, pianists Barry Douglas, Jean-Yves Thibaudet, Andrei Gavrilov, Tamas Vasary, Lang Lang, Zhang Haochen, violinists Sarah Chang, Midori, Ryu Goto, Daniel Hope, Gidon Kremer, Joseph Silverstein, Maxim Vengerov, Ning Feng, cellists Natalia Gutman, Lynn Harrell, Wang Jian and many more. Aside from regular concerts, HPO has been engaged by major music competitions in China and drawn wide praise. Outside of China it has toured extensively to Slovenia, Germany, Italy, Russia and Estonia and performed at leading festivals including the prestigious Schleswig-Holstein Musik Festival and Beijing Music Festival. In August 2014 HPO was invited by Taormina Festival in Italy for cooperation in opera with Pagliacci and Cavalleria Rusticana. In November 2016, HPO toured to Czech Republic, Italy, Austria and Germany. Yang Yang, born in a musical family, learned piano with Prof. Li Qifang. Later, he learned conducting respectively with Prof. Xu Xin and Prof. Wu Lingfen, and then was admitted to the Conducting Department of Central Conservatory of Music, being one of the students of Prof. Yu Feng. In November 2006, Yang won the first place for his outstanding performance at the Dimitris Mitropoulos International Competition for Orchestral Conducting in Greece. It’s the first time for a Chinese conductor to receive such an honor. As one of the most active young conductors in China, Yang has maintained close partnership with all main orchestras and opera houses domestically. Meanwhile, he has successfully left tracks at a host of foreign orchestras such as Deutsches Symphonie Orchester Berlin, German Philharmonic Orchestra of Cologne, Stuttgarter Philharmoniker, National Rhine Philharmonic Orchestra, New Brandenburg Philharmonic Orchestra, Italian Verona Opera House, Teatro Regio Torino, Italian Rome Philharmonic Orchestra, French Cannes Symphony Orchestra, Bordeaux Symphony Orchestra, Valencia Orchestra of Spain, Greek Symphony Orchestra, Athenian Chamber Orchestra and Korean Incheon Philharmonic, etc. Recommended by maestro Long Yu, Yang started his conducting career in the year of 1998, at the First Beijing International Music Festival (BMF). Since then, he conducted operas and concerts at BMF eight years consecutively. From 2000 to 2016, Yang Yang held the position as Assistant Conductor and Resident Conductor of China Philharmonic Orchestra (CPO). 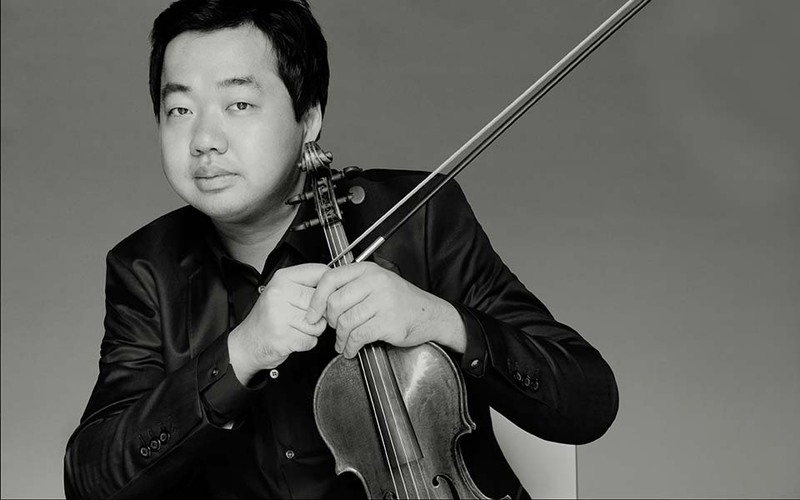 Since 2009, Yang Yang and HPO had successfully completed eight music seasons, and performed at leading festivals including Mecklenburg-Vorpommern Festival, Schleswig-Holstein Musik Festival, Ravello Festival, Emilia Romagna Festival, Taormina Festival and Ljubljana Festival. He also toured with HPO extensively in Russia and Estonia winning great applause and high critical acclaim at home and abroad. 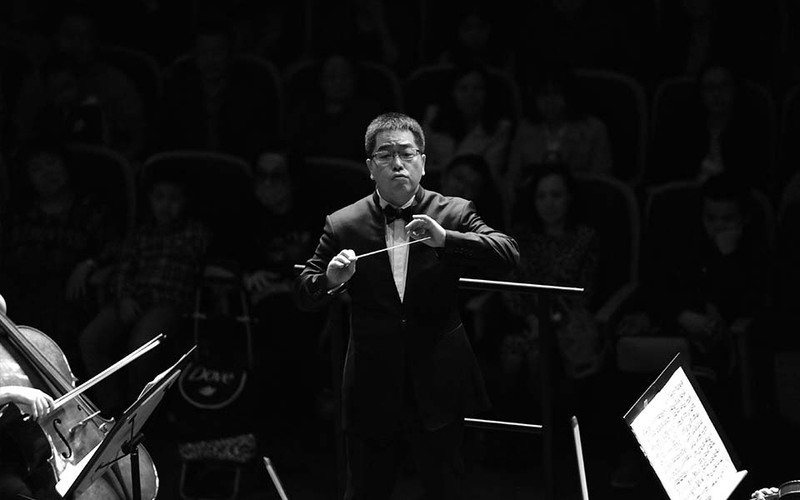 With a wealth of experience, Yang is undoubtedly one of today’s most outstanding conductors in China. In recent years, he has broadly dabbled in opera conducting and successfully demonstrated many of the great operas, such as Turandot, Madame Butterfly, La Boheme by G. Puccini, La Traviata, Rigoletto by G. Verdi, Cavalleria Rusticana by Pietro Mascagni, Pagliacci by Ruggero Leoncavallo, Carmen by Bizet, Die Zauberflöte by Wolfgang Amadeus Mozart, Night Banquet and Wolf Cub Village by Guo Wenjing, etc, which drew broad attention internationally and showed his outstanding talents in opera conducting. Ning Feng records for Channel Classics in the Netherlands and his latest disc, Apasionado, with Orchestra Sinfónica del Principado de Asturias and Rossen Milanov, features works by Sarasate, Lalo, Ravel and Bizet/Waxman and was released in March 2016. Two further discs are due for release in the 2017/18 season: Bach’s complete solo works for violin – the first recording by a Chinese violinist – and the Elgar and Finzi Violin Concertos with Royal Liverpool Philharmonic conducted by Carlos Miguel Prieto.